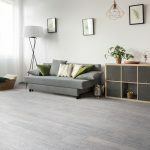 Our hardwearing and durable solid strand woven bamboo flooring is now available in a new Pebble colour. It is a beautiful pale grey, that will look great in any size or style of room, from a contemporary apartment to a rustic cottage. In recent years, pale coloured floors have become increasingly popular. Therefore our pebble grey bamboo is sure to provide you with a clean and sophisticated looking floor. 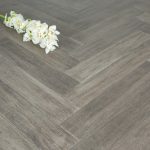 This entry was posted in bamboo, Bamboo Flooring Company News and tagged hard wearing bamboo, sustainable grey floor, pale grey floor, grey floors, pebble bamboo flooring, grey bamboo flooring on September 24, 2018 by chris elliott. 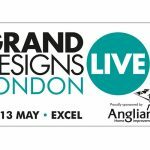 The Bamboo Flooring Company are exhibiting again at Grand Designs Live, London. 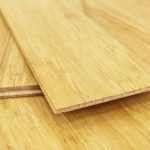 This entry was posted in Bamboo Flooring Company News and tagged Grand designs london, flooring in london, bamboo in London, grand designs live, bamboo flooring exhibition on May 2, 2018 by chris elliott. The Bamboo Flooring Company will be exhibiting at The National Self Build and Renovation Show at the NRBSC, Swindon. 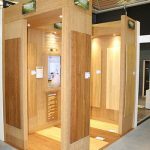 This entry was posted in Bamboo Flooring Company News and tagged national self build and renovation show, self build bamboo, bamboo flooring swindon, bamboo exhibition, bamboo floors, Bamboo flooring accessories on January 24, 2018 by chris elliott. 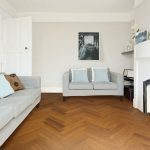 Our popular strand woven parquet block bamboo flooring is now available in a natural bamboo colour. This entry was posted in bamboo, Bamboo Flooring Company News, Bamboo Floors and tagged durable flooring, sustainable flooring, New bamboo flooring, New flooring, hard wearing flooring, bamboo parquet block, natural bamboo flooring, FSC, strand woven bamboo on November 22, 2017 by chris elliott. Strand woven parquet block bamboo flooring is now in stock. 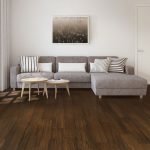 It has a carbonised appearance, meaning that the bamboo has been smoked during the production of the blocks to give the flooring warm, coffee coloured tones. This entry was posted in bamboo, Bamboo Flooring Company News, Bamboo Floors and tagged bamboo parquet block, durable bamboo flooring, bamboo flooring underfloor heating, carbonised bamboo flooring, FSC, strand woven bamboo on September 28, 2016 by chris elliott.